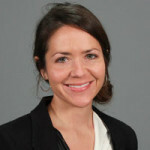 Jackie Pucci is Senior Writer for CropLife, PrecisionAg and AgriBusiness Global magazines. PrecisionAg Award of Excellence recipient Bruce Erickson is driven to share his knowledge of precision technologies and techniques with students, as well as the larger agriculture community. Newell Kitchen of the University of Missouri, recipient of the Legacy award in the 2018 PrecisionAg Award of Excellence program, has worked for decades to employ technology in unlocking the secrets hidden in farm fields. Harnessing the power of precision technology leads to year-over-year improvement in productivity and stewardship, says Arkansas grower Rodney Wright, recipient of the 2018 Farmer award in the PrecisionAg Awards of Excellence program.